Musician R. Kelly wanted to fight comedian Dave Chappelle over the "P*ss on You" sketch. In 2003, Chappelle's Show lampooned Kelly's then-legal troubles, which quickly went on to become one of the hit show's most popular sketches. In 2002, video surfaced of Kelly allegedly urinating on an underage girl and it caught the attention of law enforcement. Since then, and even before, Kelly has been accused of sexual abuse by multiple women and is the focus of a new docuseries entitled Surviving R. Kelly. In a recent interview, Chappelle Show co-creator Neal Brennan recalls that R. Kelly physically threatened Dave Chappelle after the "P*ss on You" sketch aired on Comedy Central. At the time, the show was running its first season and it was incredibly popular, creating viral videos before that was even on anybody's radar. Kelly and his representatives were fully aware of the sketch, along with most of North America. Brennan had this to say about Kelly's reaction to the sketch. "R. Kelly wanted to fight Dave. Literally, his goons stepped to Dave in Chicago and Dave's goons intervened. The goons negotiated." 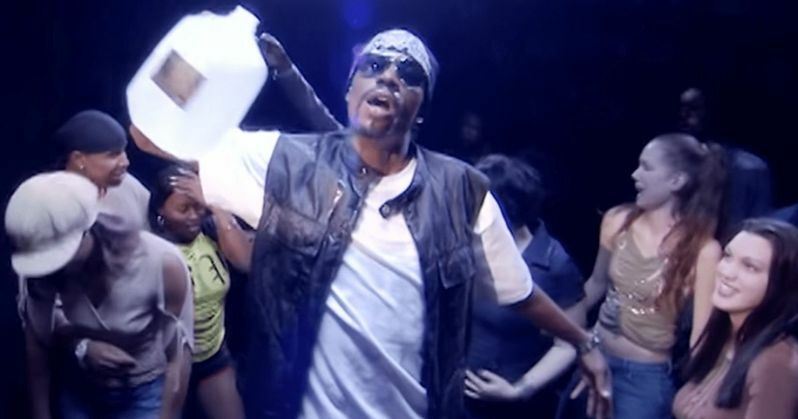 The Chappelle's Show "P*ss on You" sketch is a mock-music video featuring Dave Chappelle as R. Kelly singing about the allegations and acting them out in the video. Chappelle left very little to the imagination and then even took it to a level of absurdity that nobody expected, which means that Kelly was probably caught off guard. The show, which lasted three seasons, went on to mention Kelly a few more times, almost as a way to poke him further. While the Chappelle's Show sketch was popular comedy back in 2003, some have argued that it hasn't aged very well, especially since Surviving R. Kelly is out. A recent report accused the show of normalizing Kelly's behavior and somehow making it okay. However, Neal Brennan strongly disagrees with that idea. He explains. "I don't think people understand what comedy is supposed to do. We will observe things, we will make fun of things. Did people want us to round up a posse and go arrest R. Kelly? Like, what were we supposed to do? Our job is to poke fun at things. And even if it's bleak, we still poke fun at it. We were trying to humiliate a guy who was known for peeing." Whatever the case may be, R. Kelly is not very happy with Surviving R. Kelly either. It has been heavily rumored that he either had someone call a bomb threat into the premiere or that he made the call on his own. The NeueHouse Madison Square venue in New York City had to evacuate the building after the threats were made back in December. The police did not take the call seriously, but had to evacuate because of safety concerns, which shut the premiere down. You can check out the R. Kelly and David Chappelle story below, thanks to Neal Brennan's Twitter account.